Sold by Restcloud and Fulfilled by Amazon. 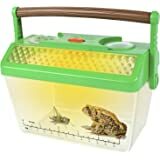 Amazon's Choice for "kids bug net"
Professional bug catching net is much more durable than others. 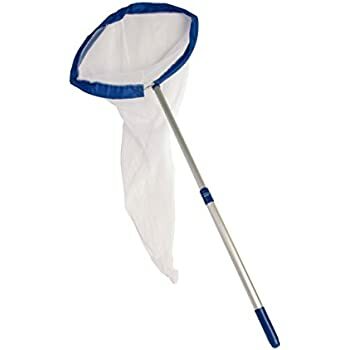 12" net ring for collection, 20" net depth for preventing escape of butterflies. Telescopic handle extends from 15" to 59", perfect for kids and beginning collectors. 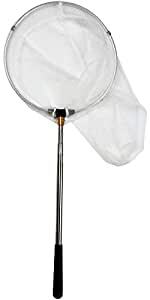 Nets for insect specimen capture, fit to capture different butterfly, dragonfly, bat, fish and other bugs. Easy to carry, easy storage. 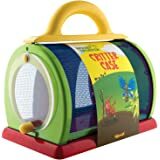 Sold by Restcloud and ships from Amazon Fulfillment. 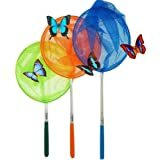 KOVOT Set Of 3 Telescopic Butterfly Nets - 15" - 34"
This is a professional quality butterfly net designed especially for kids and beginning collectors! 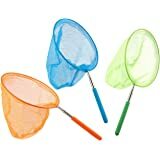 The fine mesh net is suitable for catching everything from very insects to delicate butterflies. 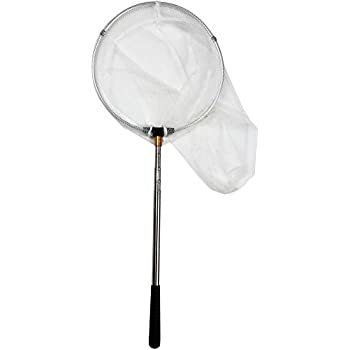 This giant butterfly net features a large 12"-diameter, 20"-deep, a rugged folding steel net ring, and telescoping stainless steel handle that extends from 15" up to 59" long. 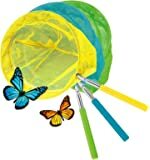 The entire butterfly net folds and collapses to just 15" long and 5" wide to fit in any pack. 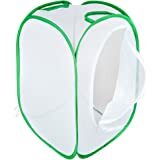 this has all the best features if you don't want to carry a bug net with you because it folds into what could easily be carried in most backpacks then brought out for use as needed. 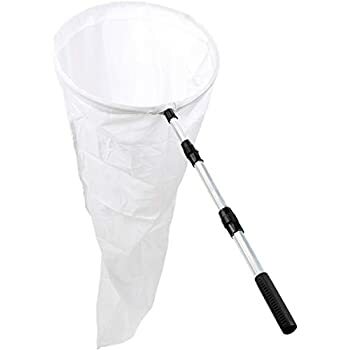 My daughter is thrilled that this net is much more durable than previous nets she has owned, and with how long the telescoping handle is. Arrived on time and works fine for what I use it for- catching small lizards around house I live in Florida if you live hear you know what I mean. 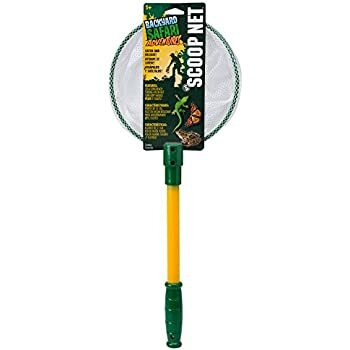 They can be a real pain very quick, I don't want to kill them so I use net. Item was just as described and fast delivery. Thank you. 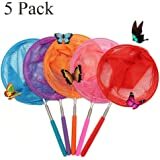 5.0 out of 5 starsRestcloud insect and butterfly net that extends .. 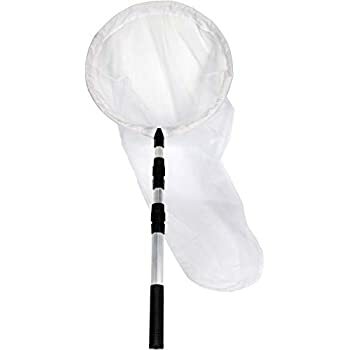 Came quickly, like the size of the net and the fact the handles extends yes I am pleased with the choice I made perfect for the butterfly Avery ..
Just what I was looking for to catch the birds my cat brings in the house and turns loose. 4.0 out of 5 starsVery good construction. 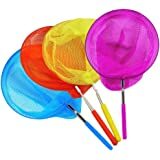 I bought the net for my granddaughter's 6th birthday. 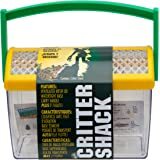 We have not been able to use it much but it looks and feels to be very durable. Perhaps the net could be a bit lighter weight.